Spicy Auction Templates Are Now FULLY Mobile Responsive! No one hates sudden eBay updates more than me. As I also have a service/product for eBay templates – Spicy Auction Templates – and each update that alters the rules on templates means we have to redo all of the pre-made templates in our library (hundreds!) 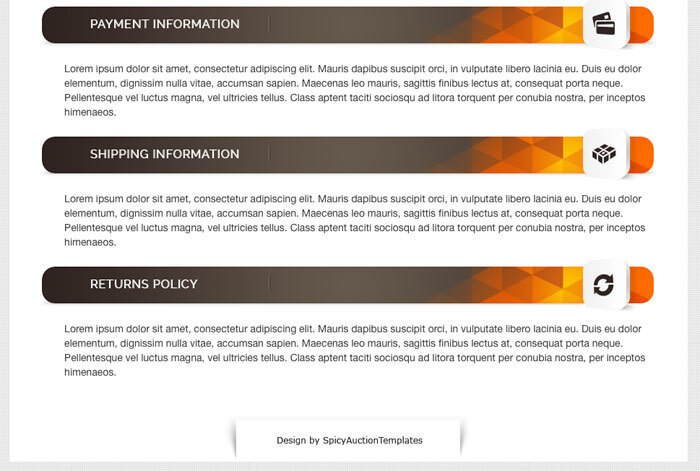 and work with clients to fix/change/update custom made templates as well. Luckily the active content rules did NOT affect Spicy Auction Templates as we never even used active content! There was some misconception and confusion about this. As I explained in the past, the tool that eBay provided to check for active content also checks whether your template/listing is mobile responsive. BUT – this is STILL NOT required by eBay! 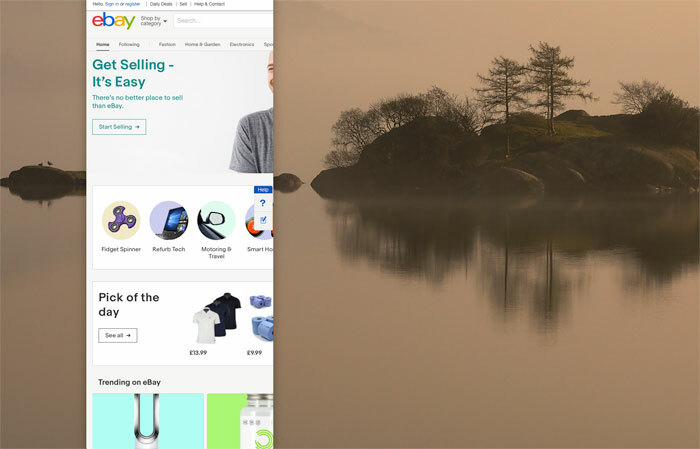 Of course, I wanted to offer the very best for my customers so we started to work on changing all templates to a mobile responsive format in ahead of eBay’s future plans. And we basically finished the work a few weeks ago – pretty much exactly when eBay announced that links won’t be allowed in templates anymore AND contact information will also be banned from eBay in the next few months! Bummer! We always have used a Design by SpicyAuctionTemplates.com link in the footer to give us credit for the work and to attract new clients. This means that our pre-made templates are now all 100% mobile responsive (something eBay isn’t even asking for yet) and of course they use no active content and don’t contain any links either! Although the term is now very common, some of you may be wondering exactly what mobile responsive means in terms of an eBay template? It means that the template itself will change the size of images and text accordingly, based on the screen size of the user. So on a desktop it will be full browser size, on tablet – tablet screen size – on mobile devices – mobile screen size, etc. Previously many websites were using two standards – one website for desktop users and one for mobile users. But it meant maintaining two set-ups which was not perfect. Responsive design is awesome as you have same the website/template and it simply re-sizes and re-organises elements in it automatically based on screen size. But of course eBay has a mobile application and mobile version of the website where your listing/templates will work as responsive and help you get more out of those 50% of people who buy from eBay using mobile devices. Speaking of that – eBay often talks about how 50% of sales come from mobile devices, so you shouldn’t be too worried about including images in listings directly etc. All I think every time I read this is what the f**k? I mean honestly, what kind of ridiculous logic is that? If 50% of buyers use mobile devices then that still means the other 50% are DESKTOP BUYERS!!! So the suggestion that you should be ignoring 50% of your customers to cater only to mobile buyers is just totally wrong! And that’s the beauty of the responsive listing templates that we now use in SAT – with them you target 100% of buyers – both desktop and mobile users, as IF you use SAT templates and follow our formatting guidelines and insert images into listings, they will look PERFECT on desktops as well as mobile devices. And this is the message that eBay should be pushing – make your listings MOBILE RESPONSIVE to cover every buyer, whatever device they use! 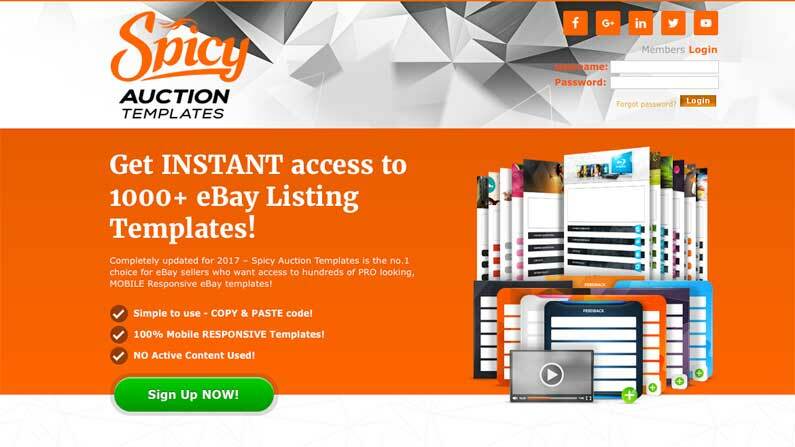 Now if you want to see some of these amazing Spicy Auction Templates and even try them out for yourself, you can download 5 FREE templates here. On the download page you’ll also get a free video on how to use/format listings using our new responsive templates. These 5 templates are 100% FREE, no strings attached! You can use them for whatever and however long you want. And that’s a ONE-TIME PAYMENT for LIFETIME ACCESS!!! So you can change these texts to whatever you want! Or let’s say you sell clothing, you can instead have a Sizing tab where you give information on the measurements and recommendations for different sizes etc. This is also incredibly useful for international sellers who need to translate these texts to their local language! Whatever your needs, to change the header of one of the tabs/info buttons, all you need to do is open the template code in notepad (nothing other than notepad) and find the place in the code which shows these text snippets and simply change / replace them with whatever text you want. Save and make sure to preview your edited template to make sure you’ve done it properly. You can also test out the responsive mode by re-sizing your browser to see how it’ll look on a tablet, mobile phone etc. Instead of changing the current info blocks, another option is to create ADDITIONAL blocks, leaving the Payment/Shipping/Returns blocks in place. This is super handy and a quick way to customise templates even further! In the SAT members’ area you’ll find videos on how to do many such customisation jobs with ease. You don’t have to be a programmer to be able to customise your SAT templates even further. 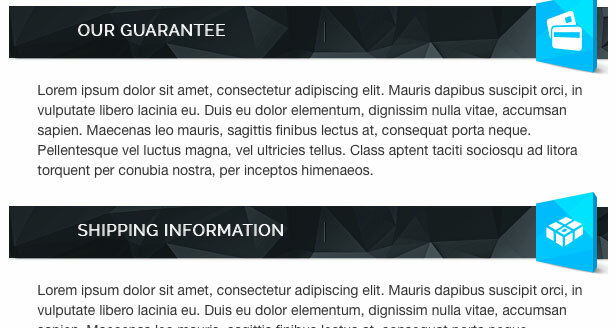 New templates still have ability of using CUSTOM headers which I think is simply an amazing feature – that you can create the look of a custom made template by simply changing the header of your template. We offer a separate service for this BUT you can do it on your own or outsource it to any designer. If you’re on a very short budget, you can use fiverr.com. 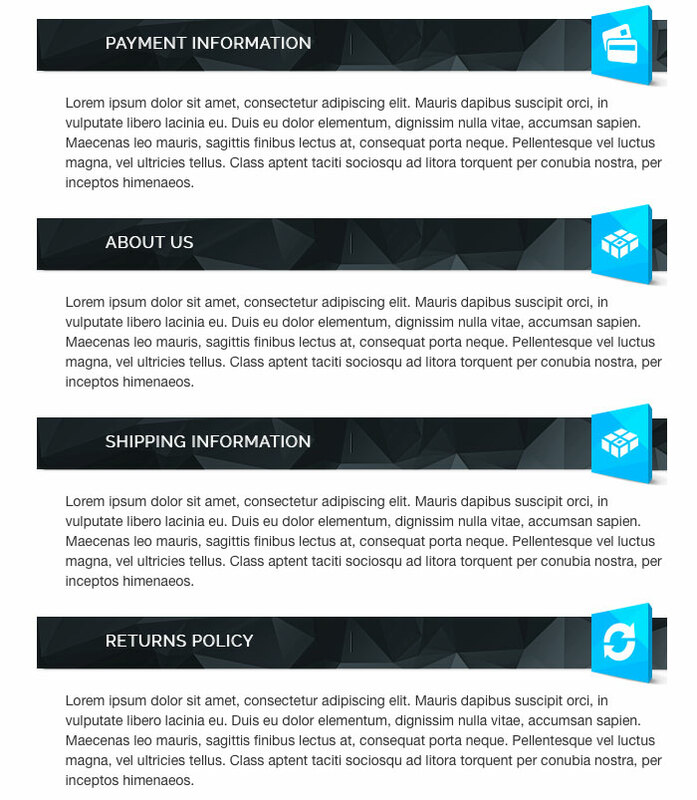 As for our custom made templates, we’ve been building these as mobile responsive for a number of months now. If you’re a past customer, get in touch with us to find out about options for updating your template to the new mobile responsive format AND to remove any links and contact information you may have in the template. As for now, we’ll be adding new templates to the SAT library! We didn’t do it before the new standards were confirmed but now, these new standards will be valid for many years to come, so we can really concatenate on building up the template library. As a SAT customer, you have the opportunity to SEND YOUR IDEAS in! Basically – if you can’t find a template for the product/theme you’re looking for, just contact us and we’ll create that template and add it to our ever growing library. And all that for just £29.95, for lifetime access! 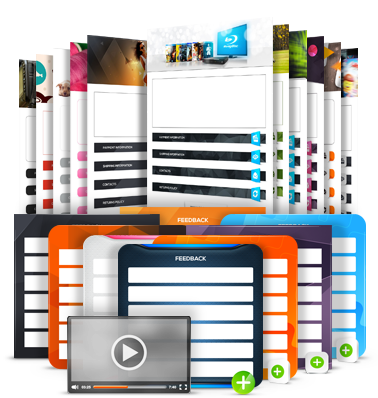 Plus it also includes free videos on how to use our templates to create awesome looking listings for your eBay business. There are no companies/options out there that offer what SAT does – a simple, cheap way of creating amazing eBay listings that simply SELL your product more effectively! So what are you waiting for? Become a SAT member and start growing your eBay business today!